Here are some examples of how the 'holocaust' Industry has blocked, covered, physcically prevented excavations of areas where they claim enormous amounts of human remains of dead Jews can be found. 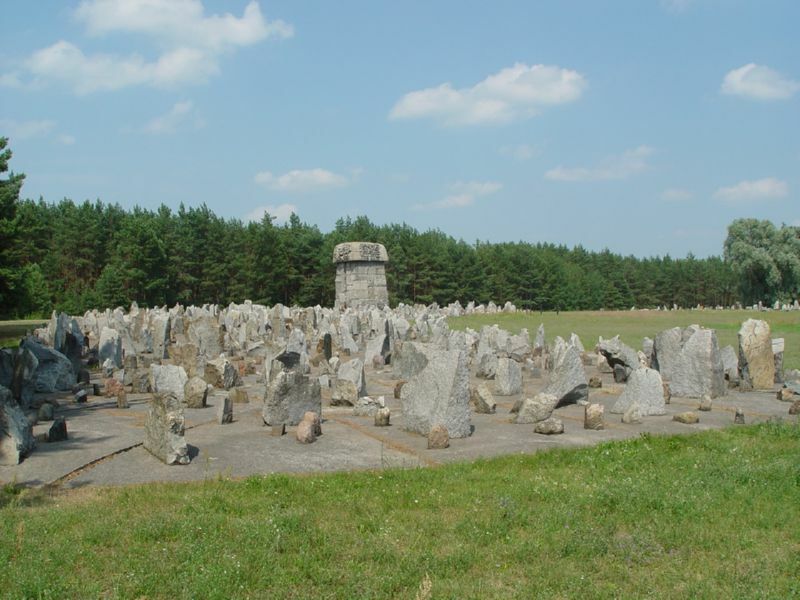 These obstructions to forensic excavations/digs pictured below are of Treblinka and Belzec. I do realize that there have been no actual verifiable excavations/digs of alleged mass graves that can be shown which confirm the claims within the 'holocaust' narrative. I do realize that legal permits for any future verifiable, viewable, scientific excavations/digs are not likely to be permitted for these shielded areas. However, I would like to discuss and hopefully see images of other examples of such physical impediments at other sites where mass extermination was supposedly carried out and where enormous amounts human remains are said to be present. 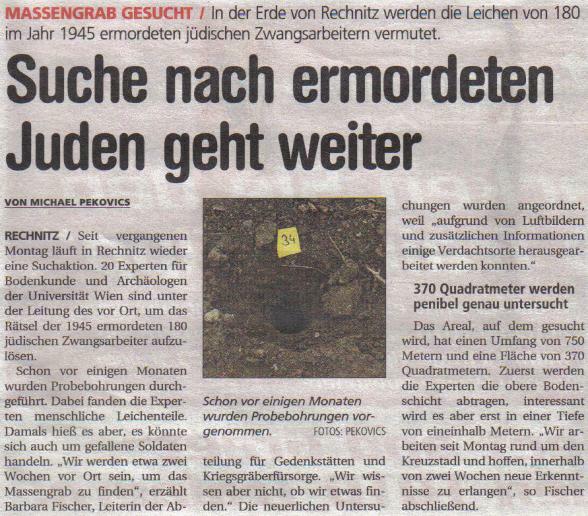 You can add Deutsch Schuetzen, from what I read they put concrete slabs onto the site of the alleged mass grave their. Why, what's the purpose of this? Good point Hannover but of course it's not just the physical barriers and concrete obstructions as you correctly point out. No it is also the barrier of freedom of info as to this type of location. Take for example the claimed thousands of mass graves in and around the Russian borders where the Einsatzgruppen were supposed to have shot dead up to two million jews. The barrier to truth via investigation is precise information as to the locations, despite all manner of local people who 'saw it' 'witnessed the murders' or 'know exactly where they are buried', all of which knowledge seems to disappear like autumn fog on a sunny morning when challenged. They seem to be suffering from collective amnesia but yet manage to describe the shootings so emotively for people to write books on the matter, despite never having found the evidence about which they shout so loudly. Alleged mass murder site for Jews in Bikernieki forest, near Riga, Latvia blocked from excavation. Then we have this structure at Sobbor said to be covering an enormous mound of human remains. Right. 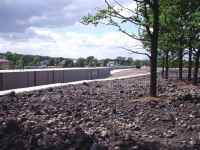 Putting concrete and rocks on top alleged mass grave sites seems to be the modus operandi. Then there is that religious excuse for not doing a proper exhumation on the remains in alleged mass graves. They were looking for the remains of dead Jews, but admit that what they found could also be the remains of fallen soldiers. Well it's also possible to find remains of bombing victims, refugees, victims of Allied war crimes in such graves, isn't it?! Weren't those memorials built by the Communist regimes of Eastern Europe because of the German wartime excavations at Katyn and Vinnitsya? The leaders of the post-war Soviet Union had probably realized that empty graves would have exposed their WW2 lies as surely as the full mass graves at Katyn and Vinnitsya had exposed their crimes during WW2. The Soviet subjugation of Eastern Germany, Poland and the rest of Eastern Europe was based on the alleged Nazi mass murders of WW2 in those areas. The Soviet empire needed the propaganda myth of Soviet liberators saving the Slavs from the clutches of Nazi bloodthirsty monsters and their diabolic extermination plans. In the 1950's and 1960's (the Treblinka memorial site was built between 1959 and 1963), Treblinka, Sobibor, Auschwitz, etc. were used by Communist authorities more as memorials of the alleged Soviet and Slavic martyrdoms than as "Holocaust" memorials. 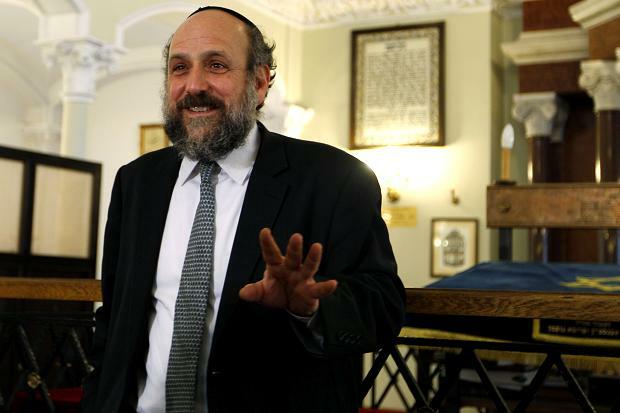 In another thread, I've posted a video with [Jewish "Holocaust survivor"] Thomas Blatt getting mad at Sobibor because the Communist memorial there mentionned the Sobibor victims as follows: Soviet POW's, Poles, Jews (in 3rd position) and others. The survival of the Soviet empire required the Soviets being regarded by the peoples of Eastern Europe as saviors instead of occupiers. The second half of the 1980's vastly demonstrated that and the Soviet empire dislocated when the Eastern European masses rejected it. The Soviets for sure had a motive to frame the Germans with fake atrocities. And what can do that better then phony memorials. That said, I now think about Babi Yar, isn't there a memorial? But no mass grave, since the David Copperfield of the Einsatzgruppen, Paul Blobel, took care of it. Can anyone confirm that the following is installed at Babi Yar? 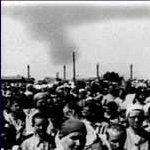 Hektor wrote: The Soviets for sure had a motive to frame the Germans with fake atrocities. And what can do that better then phony memorials. That said, I now think about Babi Yar, isn't there a memorial? But no mass grave, since the David Copperfield of the Einsatzgruppen, Paul Blobel, took care of it. 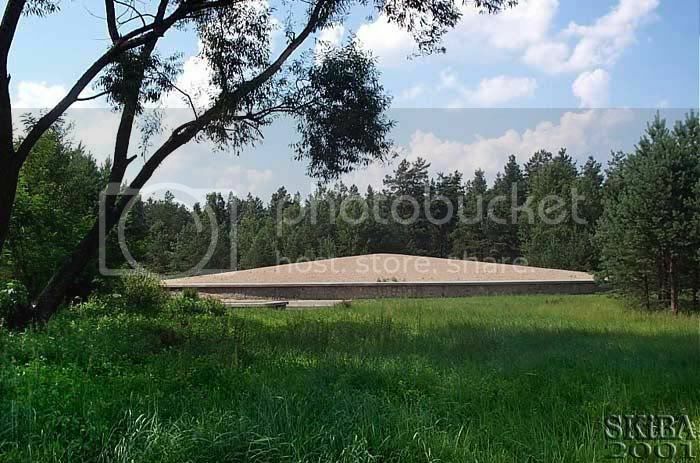 I visited Bai Yar in Kiev during September 2013, but I've never been to Babi Yar memorial park in Denver, Colorado. What you've posted, was a proposed memorial for the latter, which seems to date to 2008. A work this ambitious will require a team of exceptional engineers to fully realize its vision. Prior to this proposal, I had extensive discussions with the professionals listed below to gain a full understanding of all the issues this installation will present. Based on these conversations, here are our thoughts and preliminary solutions about how we will technically execute this stunning monument. 1. Why didn't they do it decades ago? 2. If they did, what were the results? Were they conclusive to prove a MASS murder occurred? That woman, Ms. Sturdy-Colls, completely avoided excavating the very areas at Treblinka where it's claimed that 900,000 Jews are at rest. Those areas have been covered over preventing any excavations, which is the point of the obstructions. She did do some LIDAR work which blew up in her face and revealed nothing. LIDAR shows no mass graves, zero, nada, zilch. Yet another telltale example of blocking / preventing any excavation of Treblinka. The alleged 'mass grave of 900,000 Jews at Treblinka' is a lie and this is how those that profit from the scam try to hide the truth. 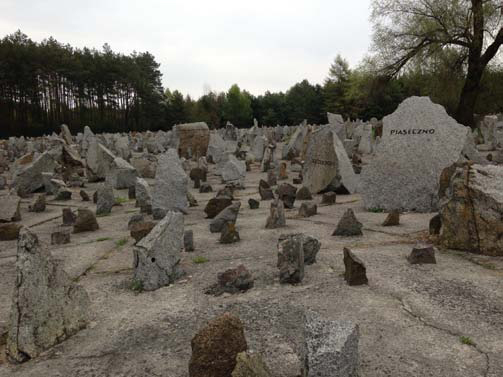 But note that there is not a single verifiable excavated mass grave that can actually be SHOWN, not just claimed, (recall the claim of 900,000 buried at Treblinka) even though Jews claim to know exactly where these allegedly enormous mass graves are. We can't move the skeletons in those Busk mass graves to see how many layers. You just have to believe us how many are in there and also believe by law. Hmmmm. How come no archaeologist had the brilliant idea to find the edges of the mass grave and dig a pit RIGHT BESIDE IT and slowly break away one of the walls of the new pit that is adjacent to the old pit? You know, slowly chip away until the tops of skulls start poking through. THEN we can count the layers.